The begging grackle , I posted earlier this week, finally got a little nibbly nib. Super shot, details and color, love the high key. Persistence pays off! Yours and his, actually. 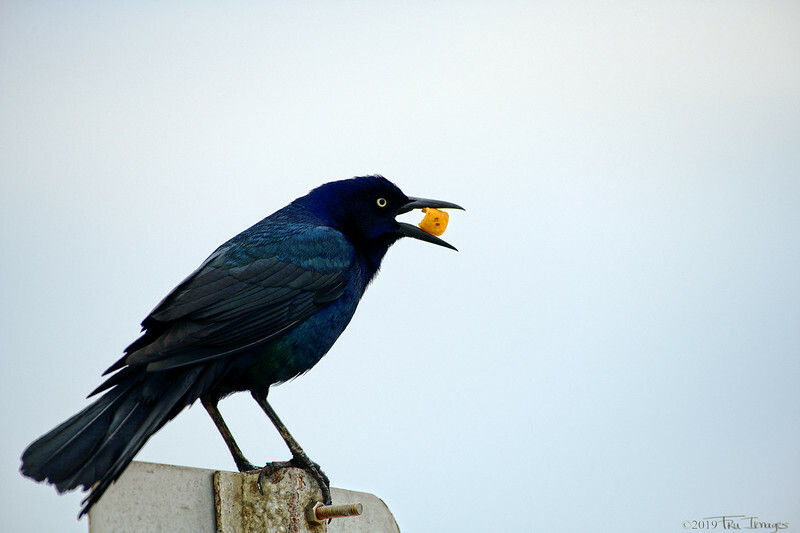 I have a shot of a grackle (our species rather than this one) arguing with some other birds over some prize. I snapped a quick pic of the "winner", and after I got it on the computer, discovered that the prize was a bottlecap, or all things! Pretty bird and a great catch for it and you! Your timiing was perfect! Super catch... and how happy he looks!